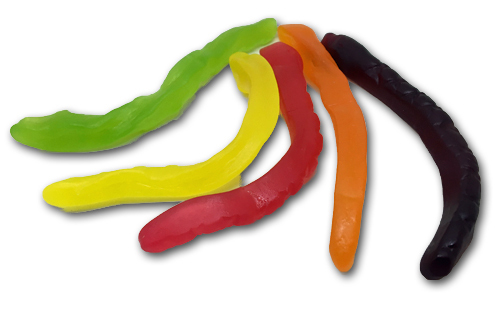 Home » 5 Freshest » The Natural Confectionary Co. Snakes. From Down Under. 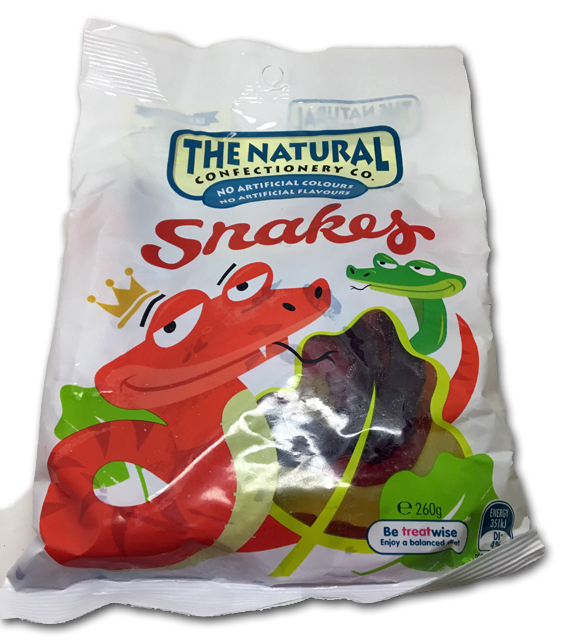 The Natural Confectionary Co. Snakes. From Down Under. Ladies & Gentlemen, a big round of applause for our second Australian candy review! Welcome once again to all the down under folks. Croc Dundee. Outback Steakhouse. Kangaroos. Boomerangs. Men at Work. Also, my brother just went there on business (really? the farthest I ever get to go is Burbank) and picked up a treasure trove of Aussie treats. 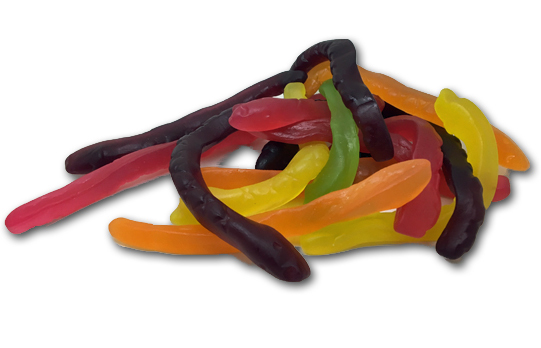 Let’s take a look at The natural Confectionary Co.’s “Snakes”. We have black currant, orange, and from there, it’s anyone guess. Doesn’t matter so much though, because like I said, the flavors are really surprisingly tasty, and the eating experience is great. Not tough like a Haribo gummy, and not a traditional soft fruit jelly, these fall right in the middle. For some reason, the experience of eating these things is just…fun. I really like them. Keep in mind, these are made in Australia, New Zealand AND the UK, and from what I’m reading, the ingredient list might not be the same in all regions. Still though, these are worth a purchase, because the combination of truly natural ingredients and yummy taste isn’t super common. Plus, surprisingly, they’re pretty affordable in the amazon link below. Give some a spin and let us know what you think.